Cutting back. It’s official: Omega Loudspeakers’ Louis Chochos has let the axe fall on this Hoyt Bedford sub-brand, originally created as an outlet for his more affordable single driver implementations. You can read this reviewer’s 6moons take on the Type 1 Hoyt Bedford from 2011 here. Note: the Type 1 were a larger standmount that shipped in two separate boxes and required lower-than-average stands. Back then, Chochos’ bread and butter Omega range ran with a licensed driver that attracted a fee each time it was put into a wooden box. The Hoyt Bedfords run ran with an in-house designed driver upon which no license fee was payable. That kept costs – and therefore RRP – down. 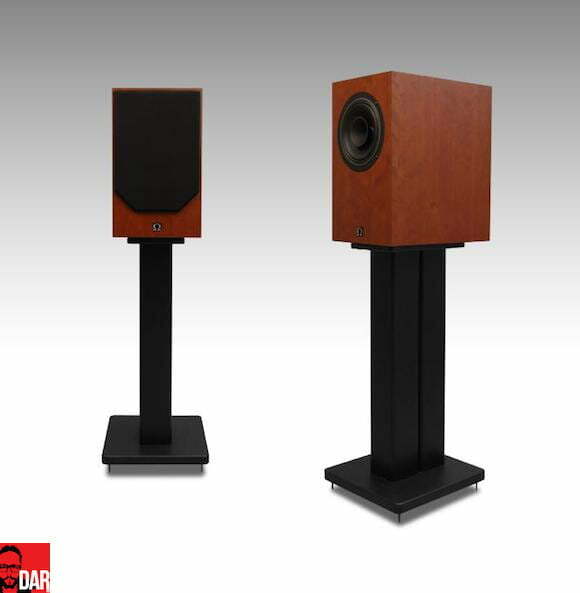 The advantages of single driver loudspeakers are many. One driver handles the entire frequency range so the absence of tweeter and associated crossover results in higher efficiency – db sensitivities can get into the high nineties. This is where low-powered SETs often enter the picture which is good news for those who prioritise tone and timbral information as well as time and phase accuracy over ultimate frequency extension. With the Hoyt Bedford collection in the bin, what’s an entry-leveller to do? 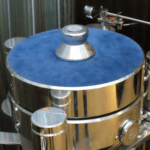 In 2015, Chochos runs with in-house developed cones only (buh-bye license fees) meaning costs can be minimised across the entire Omega range and this week, the man from Connecticut has announced a new standmount: the Super 7 Monitor MK2 which sports a 7″ ferrite magnet driver (not Alnico!). Cutting back MK2. The MK2 iteration of the Super 7 Monitor sits in a smaller cabinet than its predecessor which means they’ll find ear level on common-or-garden 24”/60cm stands – you won’t need to buy new ones. If you live outside of the USA you’ll be pleased to learn that the smaller sizing has both loudspeakers shipping in a single box that weighs 30lbs/13.6kg, the upshot being lower shipping costs and (fingers crossed) friendlier international pricing. In Omega’s domestic market, standard laminate finishes (Tweeds and Olivewood) keep pricing a shade below a grand at US$995/pair but if you fancy something a little more luxurious, a real wood veneer finish bumps the cost of entry by three hundred clams to US$1295/pair. Warranty: 10 year parts and labor for workmanship and defects. Getting Mathematics geeks’ attention are the front baffle’s dimensions that meet the golden ratio.